Happy Good Friday babes! I’m super excited about my goodies from Kosmios. Today is the best day to pull out your colorful chic pieces. As a child, I remember going to church on Easter Sunday and seeing everyone in their Sunday’s best. The fashion statements that were set in church were impeccable. Everyone would dress up from head to toe! I loved seeing the women with their big hats and Easter dresses. My look today is a look that I can wear from church straight to starting my day with the family. I’m wearing the “Ripple it Low Top” from Kosmios. This yellow goodie has chic written all over it! It can be worn to special events, fashion events, church, brunch, dinner, and family outings. My skinny pants are from Agaci. They are the perfect skinnies for Spring time! Because I believe in comfortable fashion, I had to go with my Murray Striped Slingbacks by Circus by Sam Edelman. Who says you can’t be comfy chic? 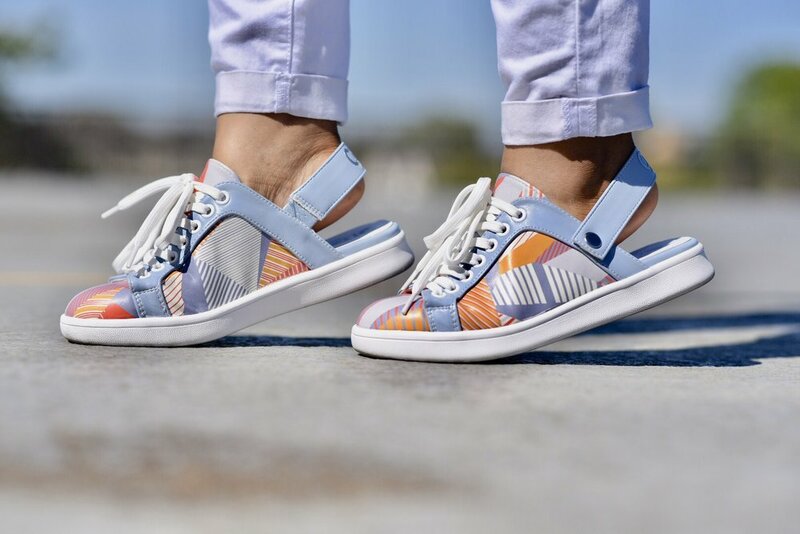 My sneaker mules are super comfy and the perfect pick ups for the Spring and Summer. 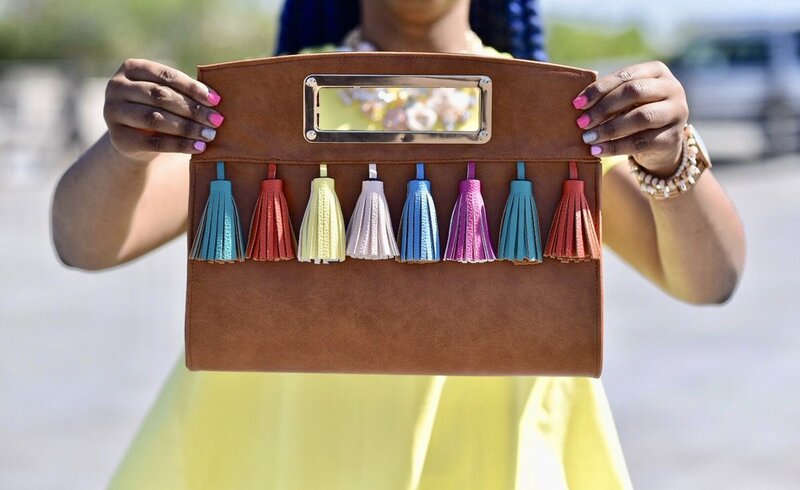 Are you loving this tassel clutch from Ross Dress For Less as much as I do? This clutch is a must have staple for Spring! It’s a definite statement maker and an eye catcher. I’m wearing the pastel multi “Laveta” statement necklace are from Aldo. Aldo is my favorite go to for statement accessories. They literally never let me down. Go and purchase this necklace while it’s still available! Older PostHappy Blogversary Rinnie P. Styles!